Hops (Humulus lupulus L.) play a crucial role in the beer making process. Within the female flowers, known as “cones,” there are lupulin glands containing alpha acids, beta acids, and essential oils, which provide bittering and unique aroma flavors to beer. Recent growth in the craft beer industry, a growing demand for locally sourced ingredients, and declining commodity crop prices, has created in increased interest in local hop production. At present, the majority of hop production is in Washington, Oregon and Idaho. In the past 5 years, United States hop production has increased 72 percent, spreading growth to other states including New York and Michigan. As of June 2017, Nebraska has 39 strung acres of hops under production, which increased 15 acres since 2016; the United States, as of the 2017 hop harvest, has a total of 55,786 acres of hops under production. Total U.S. hop production increased from 88.6 million pounds to 106.2 million pounds between 2016 and 2017. Non-traditional growing regions’ hop production increased 25%. While the industry is small in Nebraska, it is growing rapidly. Efforts through University of Nebraska personnel in research and extension provide timely information to create successful farms and businesses in the state. 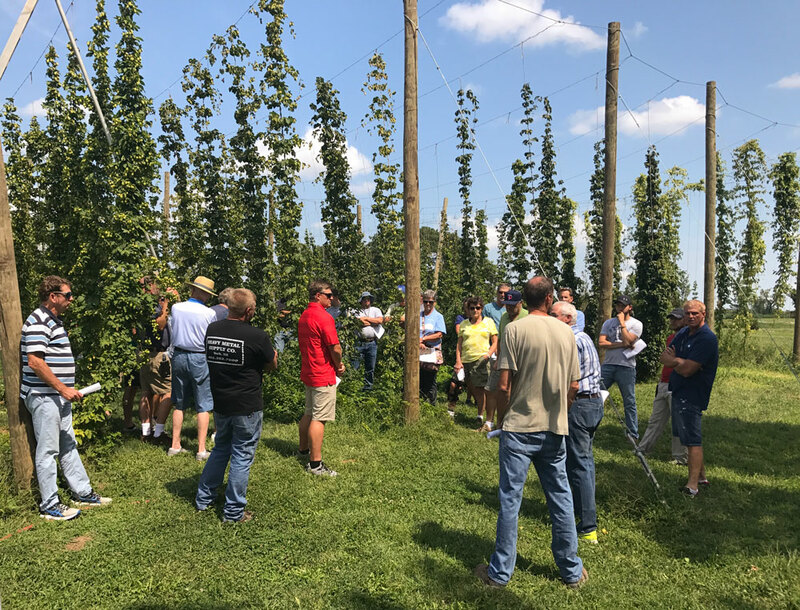 Subscribe to one or more of the following for the latest hop research, discussion, recommendations, and green industry events for hop growers. About 98 percent of the total amount of hops grown in the U.S. happens in the Pacific Northwest. Research at the University of Nebraska-Lincoln is hoping to change that. A new study is looking at eight specific varieties of hops and attempting to grow them in Nebraska. Brandon McDermott interviews Stacy Adams, associate professor of practice in agronomy and horticulture and Katie Kreuser works directly with growers and brewers in Nebraska. Full story at http://bit.ly/2BLo6tV. 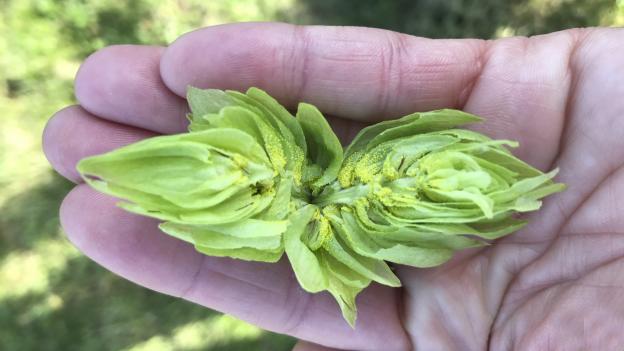 In the field, Nebraska’s Stacy Adams is leading the charge, guiding a multi-year study to see if hops can be grown locally and if the resulting pinecone-like blooms are viable as a niche revenue crop for producers. The work is funded through a grant from the Nebraska Department of Agriculture. Full story at https://go.unl.edu/kw5p. Have an interest in growing hops? Hop cones are associated with the essential flavoring, bittering and aromatic ingredient used in brewing and drives the uniqueness found in craft beer. Not just for beer, this plant is useful medicinally, as fiber, in floral design, consumed as a new super food, and sold as essential oils around the world. 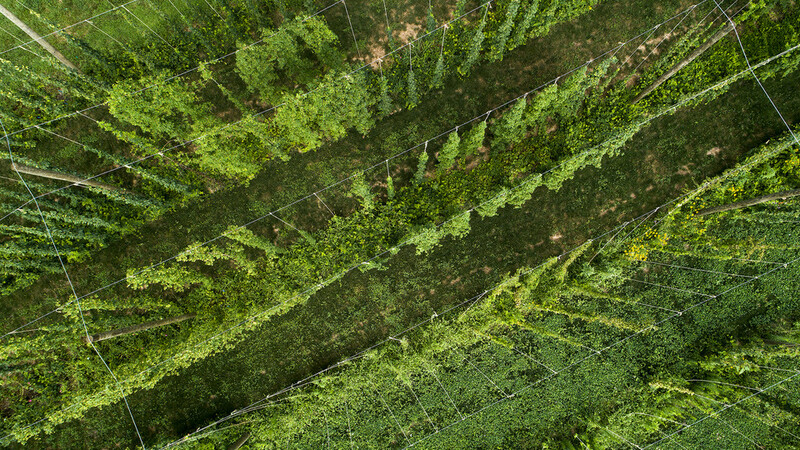 Hops can successfully be grown in Nebraska, but, having a knowledge about the plant, its growth, cultivation, harvest, processing, and marketing is critical before growing entrepreneurially and more than just a few in the garden. This workshop will provide information about how to grow this plant, considerations before moving forward into production of this plant, a plan for a trial planting, and walking tour of an on-campus hop yard. This informative program is suitable for those with no previous knowledge in hop culture and interested in learning more. Workshop in the East Campus Hops Yard. 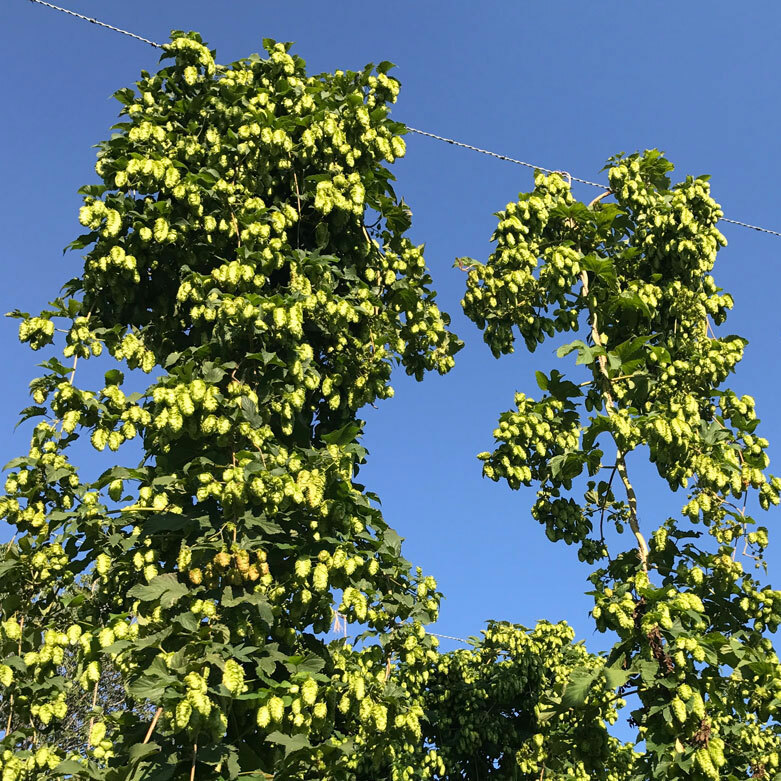 Timing of hops to reach full trellis is directly related to cultivar, crop emergence date, application of early season cutback, and seasonal environmental conditions. This is most likely the most challenging component of the attempt to maximize hop cultivar productivity. Nebraska’s extremely variable weather makes this an annual challenge and will be discussed while exploring the UNL hop field. Hop trellising and training will be the focus of this program with additional discussions related to predicting plant health concerns, pest control, and nutrition for the production season. Hops growing in the East Campus Hop Yard. This first day of summer is the fitting choice to hop over to Oak Creek Hops where farm diversification brought hops to central Nebraska! Oak Creek Hops desires to build strong relationships with community by providing locally sourced products to craft breweries in the area. 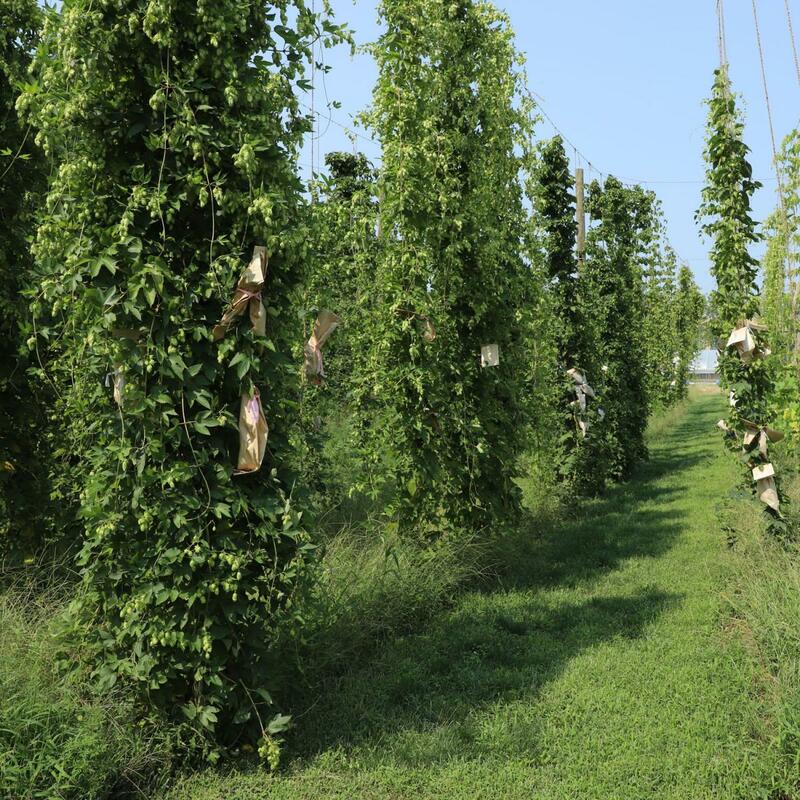 In this field day visit, we’ll have Dave and Lisa Gleason talk about their hop yard and how their season is shaping up. You’ll have the opportunity to network with other growers and share experiences and ideas.